We have two very talented artists as our wonderful sponsor for the March Challenge. We will have 2 Lucky Winners this Month! Erin Prais-Hintz is one of the editors here at Art Bead Scene. Erin has a monthly bead club that you can subscribe to. The lucky winner will get to choose their colors and styles from the new Minutiae collection for the prize. Erin is donating over $60 in Pendants and charms for the Jewelry Pinterest board winner. Visit Erin at her website, Facebook and website shop. Terri Del Signore is also an editor here at Art Bead Scene. 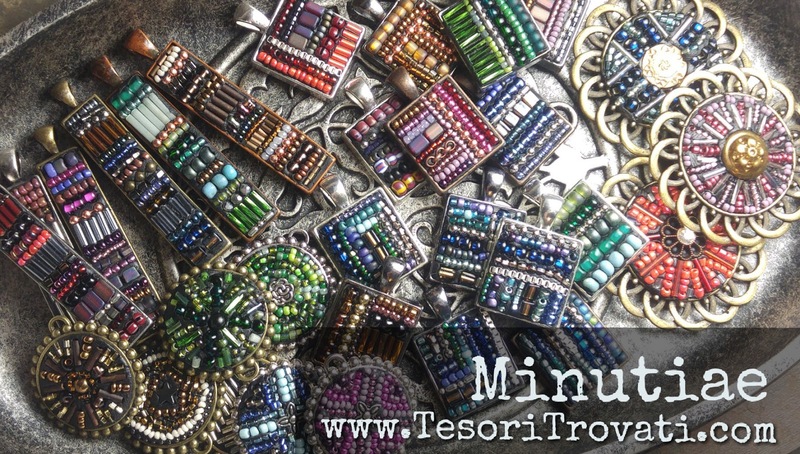 Terri works in clay creating wonderful beads and components for jewelry artists/designers. 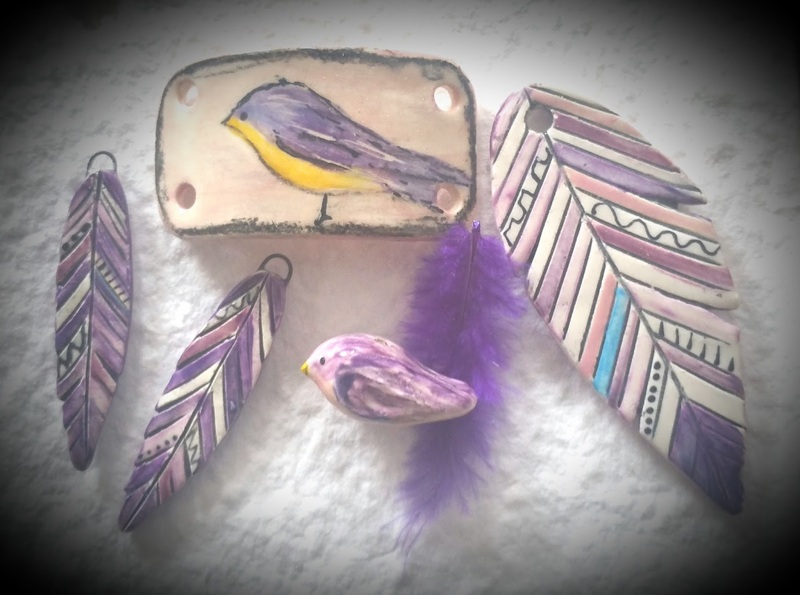 Terri is donating the "Birds of a Feather" components above valued at over $50 for the Monthly Recap winner. Visit Terri at her website and Facebook. Submit photos of your wonderful Jewelry creations using one or more Art Beads here. Submit photos of your wonderful Bead creations here. This Month's art has many different elements that can be used for inspiration: landscapes, birds, nests, yellow flowers, purple/blues and neutral tones. **IMPORTANT** Please remember to put MAR ABS in the title or tag of your submission(s). Pinterest doesn't keep Pins in the order they are posted.